Letlapa Ngoato Mphahlele was born on 8 December 1960 in Rosenkrantz, Northern Transvaal (now Limpopo) to Radikubu and Nkone. He grew up in the village of Manaleng in Northern Transvaal. He attended Rosenkrantz Primary School. As a youngster, he was an enthusiastic football player. In 1978, when he was in Standard Eight (now Grade Ten), Mphahlele and his cousin Moses started a student union, the Union of Self Study (USS), at Ngwana-Mohube High School. The USS, ostensibly, meant to assist students with their studies, had a political agenda. Mphahlele was elected President of the USS. However, the Principal banned the organisation as soon as he heard about it. In August 1978, he left for Johannesburg enroute to Botswana, into exile. Upon arrival in Gaborone, he registered at the Botswana Council for Refugees. Here he met a young person who introduced him to Tsietsi Mashinini and Khotso Seatlholo of the Soweto Students Representative Council (SSRC). He lived with a group of SSRC youth for a while. They tried to recruit him into the SSRC. Eventually he decided to join the Pan Africanist Congress (PAC). Shortly after this, the Botswana Government rounded up all refugees who were not attending school and took them to the Dukwe Refugee Camp. Following problems at the camp, Mphahlele left the Dukwe Camp and then went to Tanzania in 1981, from where he left with a group of PAC members for Guinea, on the West Coast of Africa to undergo military training. They arrived in Conakry in July 1981 where they spent 12 months. The group returned to their camp in southern Tanzania. Mphahlele then worked as a journalist in the camp’s newspaper, the Itumbi News Daily. In 1983, the group relocated to a new camp in Mgagao in Iringa. Here he became the editor of the camp’s newspaper, the Mgagao People’s Daily. Mphahlele was sent to Botswana as the PAC’s Assistant Chief Representative. His deployment was a cover for an Azanian People’s Liberation Army (APLA) assignment to strengthen ties with the PAC underground across the border in South Africa. Mphahlele was later ordered out of Botswana after the head of the Special Branch in Botswana, Adolf Hirschfeld, informed him that the South African Government had given Botswana a list of people they wanted deported from the country. From Botswana, he skipped the border into Zimbabwe. Here he was detained as an illegal immigrant. Upon his release, the PAC informed him that he had been appointed as their Chief representative to Uganda. However, Ugandan President, Yoweri Museveni, turned down his appointment, in favour of another PAC member, Templeton Ntantala, whom he had known previously from his days in exile in Tanzania. In Zimbabwe, Mphahlele was appointed to the APLA’s High Command, working in the Logistics Department, operating out of the capital, Harare. From Harare, he couriered arms to Botswana destined for South Africa. 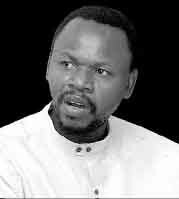 Mphahlele was responsible for infiltrating APLA cadres and arms into South Africa. While in Botswana, he was arrested for being in possession of a pistol and sentenced to five years in jail. Mphahlele and the other PAC members who were with him in prison were forced to rely on African National Congress (ANC) members for food and other supplies. Their appeal to the PAC’s army commissariat was ignored. Mphahlele spent a year in prison and embarked on a hunger strike with two fellow PAC members. Whilst in prison, Zeph Mothopeng, PAC President visited the PAC prisoners. Following his release from prison, Mphahlele went back to Harare, Zimbabwe. At the airport, the immigration officials would not grant him permission to enter the country. After spending a week at the airport, following negotiations between PAC officials and the Zimbabwean Government, he was allowed into the country. Whilst in prison, Mphahlele was appointed to the position of Deputy Political Commissioner of APLA. He continued to travel between Zimbabwe and Botswana regularly on APLA business. Soon Mphahlele was made the Director of Operations for APLA. In January 1991, Mphahlele re-entered South Africa from Botswana. For a while, he hid in a rural area in Mmabatho, Bophuthatswana. From here, he went to Mabopane, visiting APLA underground units in Pretoria, the Witwatersrand and other areas in the Vaal region. He then made his way to Soweto, meeting APLA and PAC members and then went onto Mthatha in the former Transkei to inspect and address APLA units there as well. From the Transkei, he travelled to Lesotho and then onto Swaziland, again on APLA business and back to the Transkei, via Lesotho. Whilst he was here, he heard of the military coup in the Transkei and the flight of its military leader, Bantubonke Holomisa. When Mphahlele phoned Sabelo Phama in Harare, it emerged that it was because of miscommunications between different APLA members. Mphahlele made his way back to Mthatha where he called a meeting of all the APLA commanders in the region. At this meeting, he gave orders for APLA members not to involve themselves in the coup and the ‘capture’ of the Ncise Military Base in the Transkei. Following this incident, he decided to use the Transkei as his base. According to Mphahlele Mkhonto we Sizwe (MK) provide them with military weaponry, limpet mines, a bazooka and ammunition. MK also gave military training to APLA cadres. Transkei police and soldiers were another source of weapons. Mphahlele was arrested at a police roadblock in Herschel and later in Mthatha with arms and ammunition but was released by sympathetic Transkei police officials. Following the democratic elections in South Africa in 1994, Mphahlele went back to Lesotho, on 12 April 1994, fearing arrest with the re-incorporation of Transkei into South Africa. However, the Lesotho Police arrested him as he was living illegally in Lesotho. Due to intervention of various friends, he was released from prison and settled in Maseru. By this time Mphahlele gave orders to APLA operatives that the armed struggle was over. To earn a living, he sold food at the National University of Lesotho and surrounding schools. At this time, the Lesotho police uncovered a huge quantity of arms at a place called Leribe. Some of Mphahlele’s colleagues were arrested, as the police believed the arms were destined for a terrorist attack on South Africa. A friend him informed that the police were also looking for him. Later Oupa Khotle, an APLA member, who was arrested led the police to the place where Mphahlele’s passports and firearm licence was hidden. This exposed his cover in Lesotho. However, Mphahlele was unaware of the presence of buried weapons that Khotle had pointed out to the police. Again, Mphahlele went underground in Lesotho, seeking refuge with friends in the Maluti Mountains. Subsequently, Mphahlele was arrested and handed over to the South African Police at Caledon, in the Free State. He was detained in a prison in Bethlehem, where he embarked on a hunger strike for ten days. Mphahlele appeared in a Bloemfontein court on 3 January 1996. A large crowd of friends, supporters and his family that included his parents and siblings were present at the court. Unable to raise R30 000 bail, which the court had set, Mphahlele returned to prison. A month later, he was released when the bail was paid. He had to report to the police station every day. Eventually authorities allowed him to go to his home village of Manaleng, his first visit since he left. He was to report to the Pietersburg (now Polokwane) police. At the time of APLA attacks on the St James Church Massacre (Kenilworth) and the Heidelberg Tavern (Observatory), Cape Town, Mphahlele, as APLA’s Director of Operations, he had issued an order to suspend attacks on civilian targets. However, he waived this after the 1993, South African Defence Force (SADF) raid on a house in Mthatha that APLA used, resulting in five children killed. Even then, he said that security forces had to be the prime targets. A few years after the St James Church attack, Mphahlele met Charl van Wyk, one of the survivors of this attack, who returned fire injuring the APLA attacker, Gcinikhaya Makoma. Each time Mphahlele appeared in court his case was adjourned to await the results of his amnesty application to the Truth and Reconciliation commission (TRC), while demanding that he “make a full disclosure of his crimes”. Mphahlele insisted that he had waged a just war that ought not to be treated as a crime. On 25 September 2006 at the 8th National Congress held at the University of Qwaqwa, he was elected as the PAC President. Due to problems within the Party, on 6 July 2008 at the 9th National Congress held at the University of Fort Hare he was, again, elected unopposed as the PAC President. Mphahlele is the author of two books, Child of this Soil: My life as a freedom fighter and Matlalela: The flood is coming. • PAC. President ”“ Letlapa Mphahlele from the PAC (online). Available at www.new-web.pac.org.za. Accessed on 24 April 2012.